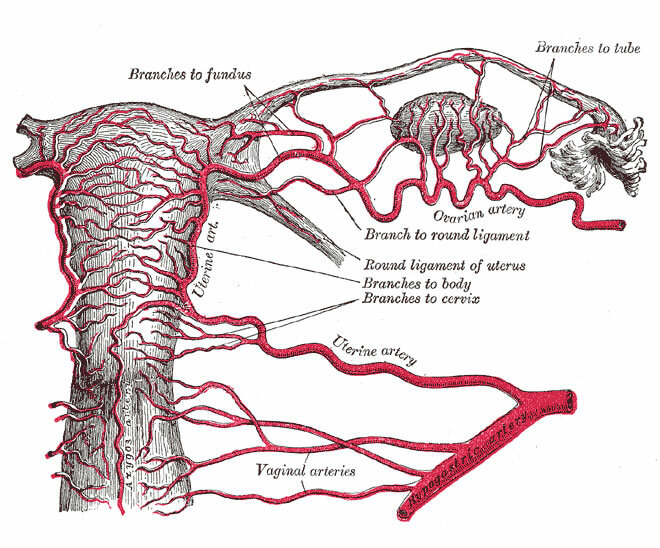 What is Uterine Artery Embolization procedure? 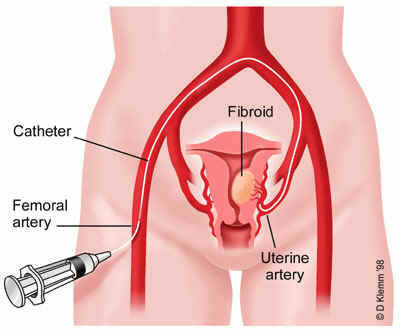 Uterine Artery Embolization (UAE) is a non-surgical procedure for treating fibroid tumors. 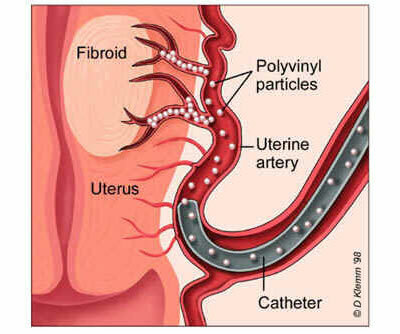 While the patient is under local anesthesia, an experienced interventional radiologist selectively injects an artery with small particles that flow into the blood supply of the uterus to stop or slow down the blood flow to the fibroids. This arrests or significantly diminishes the growth of fibroids, which in most circumstances eventually shrink. This method is useful in treating bleeding, pelvic pain, pelvic pressure and related symptoms caused by the fibroid tumors. The technique is performed on patients who are generally not candidates for surgery or those who have symptoms from recurrent uterine fibroid tumors. UAE is offered to selected patients after proper consultation and evaluation. More than 8,600 procedures had been done nationwide between the first one in 1995 and October 2000. Dr. Mahmood Razavi, M.D., a member of our team, is an associate professor of radiology at Stanford University Hospital, and one of the most experienced interventional radiologists in the country. A small recent sample of his contribution in the medical literature is shown below. Please email us at office@camrannezhatinstitute.com if you would like to receive additional medical articles about Uterine Artery Embolization procedure.